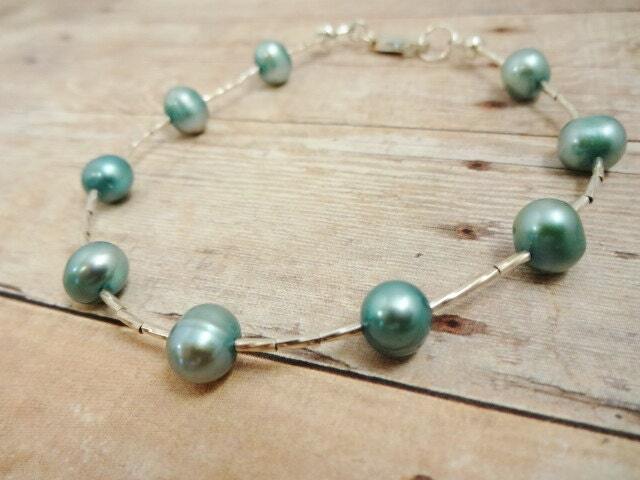 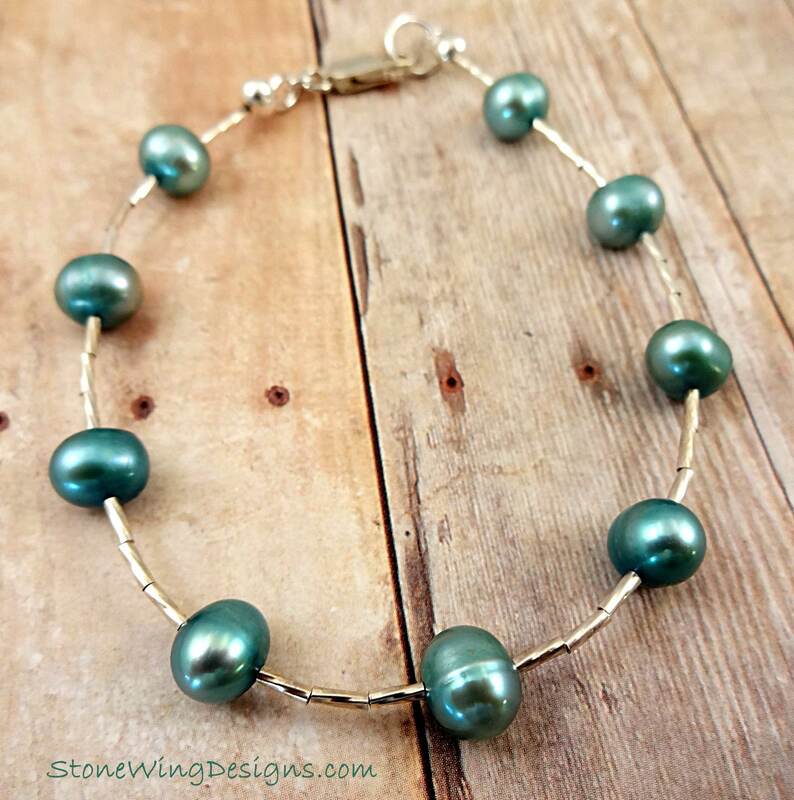 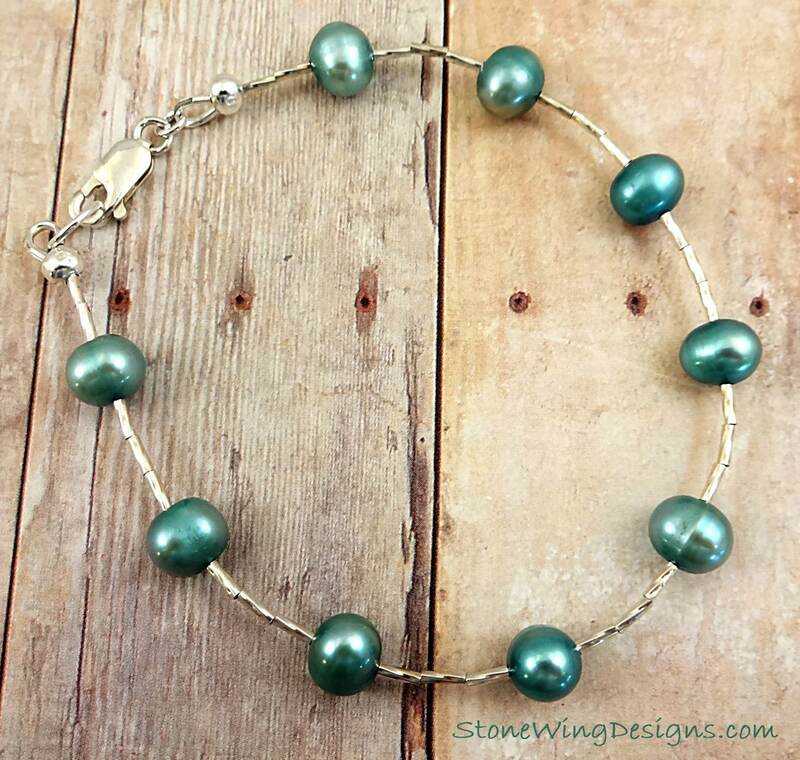 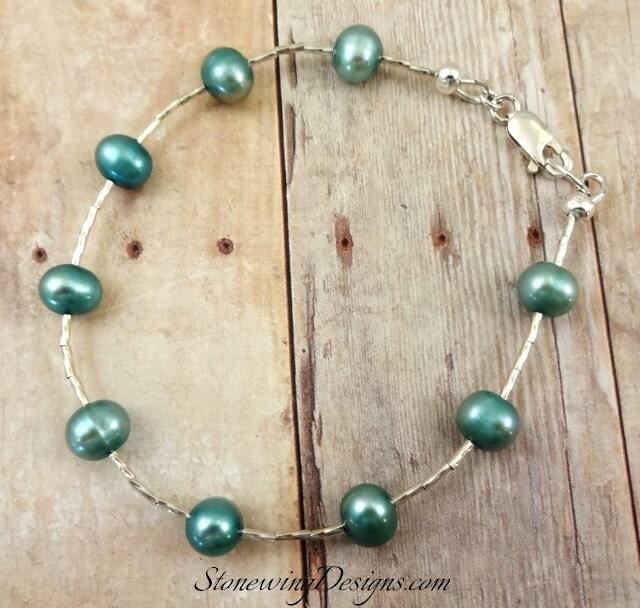 Lovely green pearls and Solid Sterling Silver give this simple bracelet distinction and class. 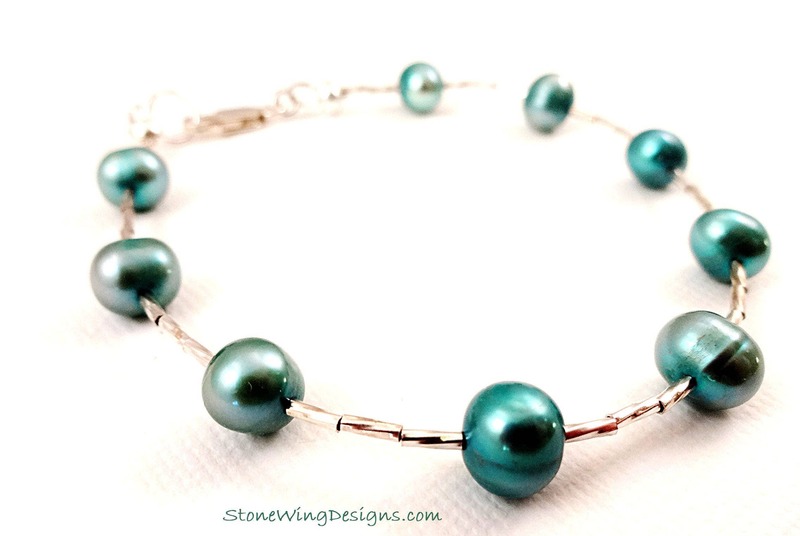 Sterling Silver tubes, also known as liquid silver, shimmer and sparkle thanks to the twisted square shape of the bead. 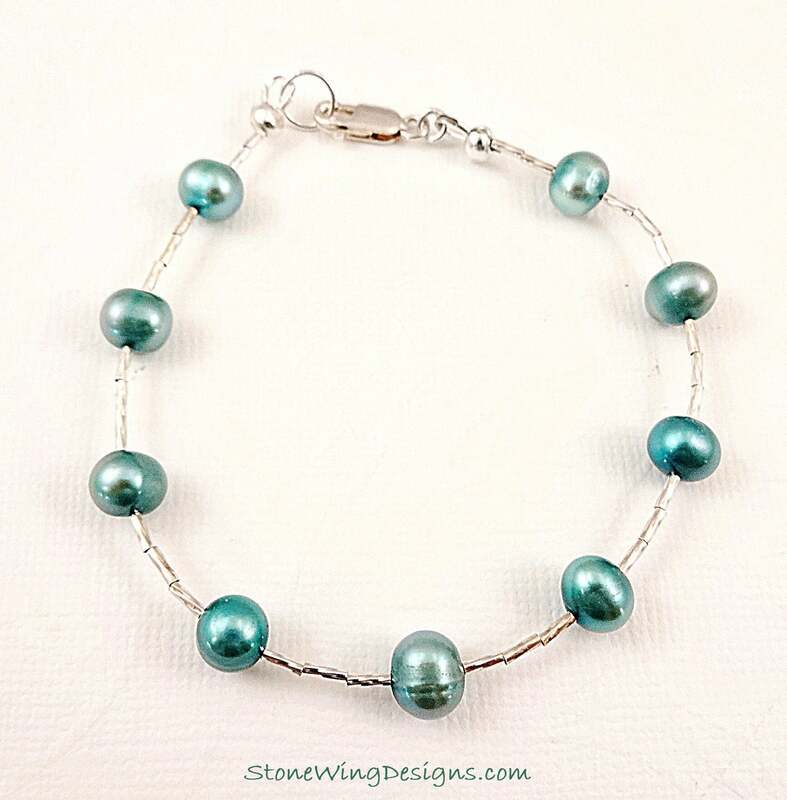 A Sterling Silver lobster clasp, crimp covers and wire guard ensure your bracelet is of the highest quality workmanship.